Around 12,000 U.S. children will be used as guinea pigs for an experimental swine flu vaccine known to contain the dangerous ingredient squalene, which has been directly linked with cases of Gulf War Syndrome and a host of other debilitating diseases. According to a report in the Oklahoman, 12,000 children nationwide will partake in “fast-tracked studies” to test the side-effects of the untested swine flu vaccine in trials set to begin next month. “The trials will test the vaccine’s effectiveness and whether or not it has negative side effects in patients,” states the report. Since less than 100 children in the U.S. die from regular seasonal flu each year, a reasonable estimate would be that around 100 children will die from swine flu over the course of the next year. So in effect, the authorities will vaccinate millions of children in order to try and prevent 100 deaths. If the mass vaccination program mirrors the previous swine flu outbreak of 1976 then the vaccine is likely to kill more people than the actual virus. 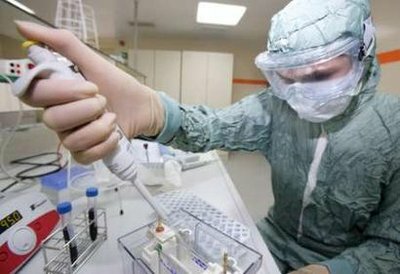 Furthermore, since the swine flu vaccine includes squalene, a dangerous adjuvant that contributed to Gulf War Syndrome cases, there’s little doubt that it will lead to debilitating lifelong diseases far more deadly than the swine flu virus itself for thousands of children if a mass vaccination campaign is conducted. “Research shows that squalene is the experimental anthrax vaccine ingredient that caused devastating autoimmune diseases and deaths for many Gulf War veterans from the US, UK, and Australia, yet it continues in use today and for new vaccines development in labs,” writes Stephen Lendman. Efforts on behalf of authorities to prepare the public for a mass vaccination campaign, which could even be made mandatory if the crisis escalates, have been intensifying in recent weeks. And yet, as Richard Halvorsen, a Central London GP and medical director of BabyJabs, a children’s immunisation service, writes in the London Times this week, all indications are that the swine flu vaccine will have the least effect in those most at risk from swine flu – children, the elderly and people with underlying health problems. Given that the vaccine contains an ingredient directly linked with a plethora of horrific diseases, will you take measures to protect your child from a mass vaccination program? What if the government decrees a mandatory vaccination program and tries to enforce it at gunpoint, as health authorities have already indicated could happen? With increasing public awareness of the dangers of vaccines, allied with the bizarre eugenics policies embraced by people like John Holdren, Obama’s top science advisor, it seems inevitable that millions will refuse to comply with a mass vaccination program even if the government attempts to implement it by force. Why was ‘Infinite Unknown’ down the last 3 days?